Here are some answers to questions you may have…. How can I pay for my flight? LPA accepts credit cards, cash and business checks. Flights must be paid for in full before your seat, flight tour, or charter is confirmed. When do I need to check in for my flight? One hour prior to take off. This gives the LPA staff time to weigh and mark all your items and get them loaded on the airplane. If you arrive late your freight may not be on the flight with you and would be sent space-available on the next plane. 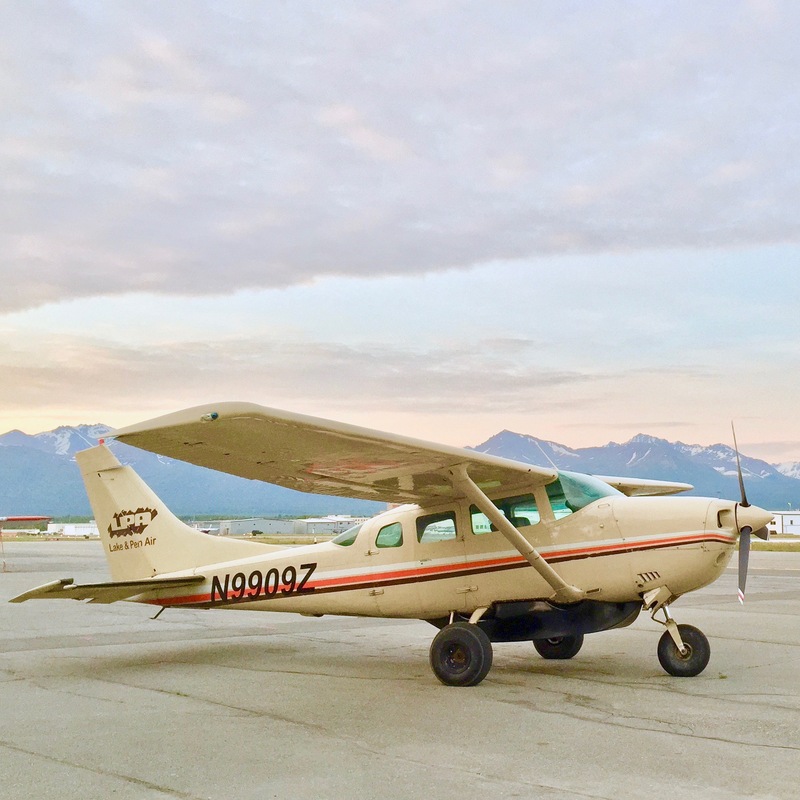 How long is the flight from Anchorage to Port Alsworth? It’s about one hour. What will I see on the flight between Anchorage and Port Alsworth? When you fly over the Cook Inlet look for beluga whales. Mount Denali is visible to the north on a clear day. Once you get to the Lake Clark Mountain Pass you’ll likely see the steaming Mt. Redoubt volcano and in the pass there are many glaciers and waterfalls to enjoy. You might also see bears, moose, bald eagles, beavers and other animals in the river valley. How big is Port Alsworth? The population count was 159 at the 2010 census. What amenities are in Port Alsworth? The Lake Clark National Park & Preserve Headquarters, a few B&B’s, snack shack, and a church. And that’s about it. You will find nary a movie theatre, grocery store or stop light. What kind of jobs do people have in Port Alsworth? People work for LPA! 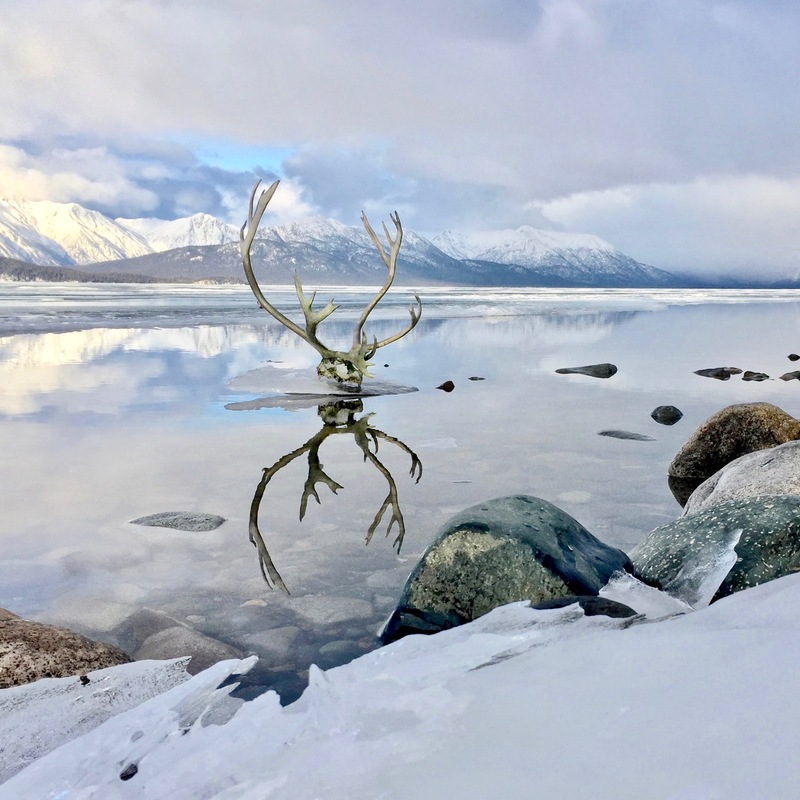 But there are also several hunting and fishing resorts, a Christian church and Bible camp, K-12 public school, post office, Heal Our Patriots Lodge run by Samaritans Purse, and the Lake Clark National Park & Preserve headquarters. Do I need to worry about bears? You will be in the Wild Alaskan Bush where seeing bears from time to time is a potential. You don’t need to worry about them but here are a few ways to help you stay safe: carry bear spray, don’t leave trash behind, walk the trail with a dog if possible, and make plenty of noise as you travel. If you do see a bear – don’t run – but return to Port Alsworth as soon as you can and inform Park Service and other walkers about your encounter on the trail. Spring/Summer/Fall: Layered clothing, rain/wind jacket, camera, bug spray, water & food. Winter: Snow pants, coat, boots, hat and gloves, camera, water & food. Can I bring chilled and frozen foods? Yes! LPA has a fridge and freezer to hold your food before and after your flight. However, we cannot hold your food overnight in Port Alsworth so you’ll need to bring a cooler or make other arrangements. Are there restaurants in Port Alsworth? No, you will need to bring everything you want with you. A cooler is recommended for parishable items. Can I get a refund if I decide not to fly? Yes! We will refund your money minus a 10% fee. Can I change my reservation day and time? Yes! We just ask you to give us as much notice as possible so we can offer your seat to someone else. Can my kids fly without me? Yes! Children 5 and over can fly unaccompanied with LPA. Their seat fare will be at the adult rate. What if I miss my flight? Contact LPA as soon as possible to make arrangements to get to your destination. Will my luggage go on the same flight as me? Yes! We strive to keep our passengers and their freight on the same flight. On occasion your freight may go on a flight ahead of you or on the flight after you. We will ask your permission if this need arises. What happens if LPA cancels my flight? Our pilots keep a careful eye on the weather and check it before every flight. Usually we are able to just delay flights for a bit while weather clears up – in which case you can relax in our waiting area. If your flight is totally cancelled we will rebook you on the next available flight – at no charge to you. LPA does not offer hotel, car, or restaurant vouchers for cancelled flights. What happens if there’s bad weather and we have to turn around? This is rare because we keep a careful watch on the weather. However, weather is unpredictable and can change quickly so turning around happens from time to time. In most cases we return to the departure city and wait until weather improves. See above question and answer for cancellation information. What is hazmat? “Any item or chemical which, when being transported or moved, has the potential to cause harm to humans, animals, or the environment, either by itself or through interaction with other factors. Examples are: batteries, propane bottles, camp stove fuel, and bear spray.” LPA carries most hazmat materials but they are subject to the rules and may or may not be allowed on flights with passengers. Please let us know as soon as possible if your freight will include Hazmat so we can make arrangements to get it to your destination. I need my camp stove fuel but it’s hazmat. Now what? LPA has a small supply of camp stove oil in Port Alsworth, so we can trade! We’ll keep your can of stove oil in Anchorage and give you one of ours once you land in Port Alsworth. What if I get air sick? Check the seat back pocket in front of you for a sick-sack. We really appreciate when our passengers use them!